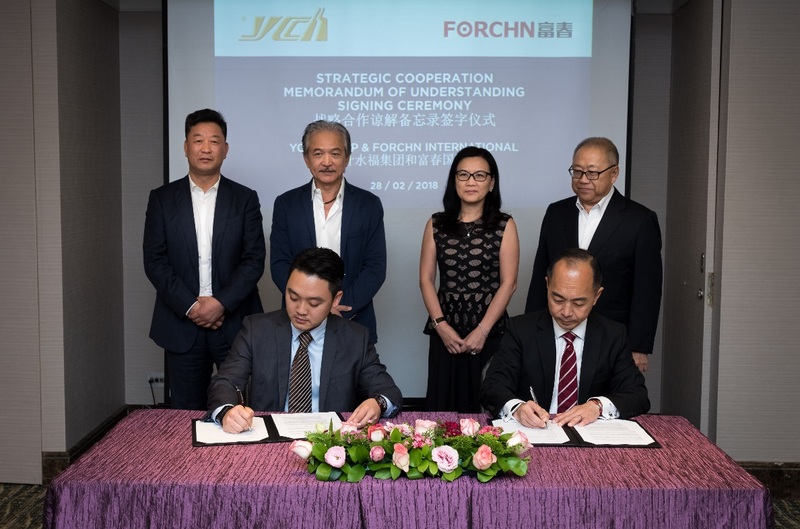 YCH Group (YCH), Asia Pacific’s leading supply chain and logistics company together with Forchn Holdings, sponsor of SGX-listed EC World REIT, have earlier today signed a landmark framework agreement on three strategic initiatives in Hangzhou, China. 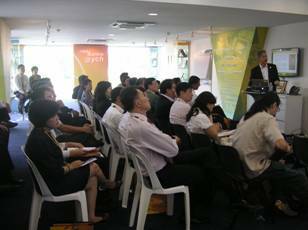 Singapore’s homegrown logistics giant, YCH Group launched Supply Chain City, Asia’s nexus of supply chain excellence. 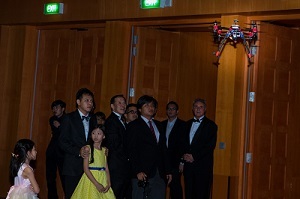 The ceremony was graced by Guest-Of-Honour Prime Minister Lee Hsien Loong. 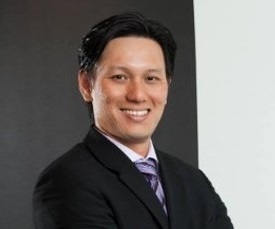 YCH Group announced today the appointment of Mr. Kerry Mok as its new Chief Executive Officer, effective immediately. 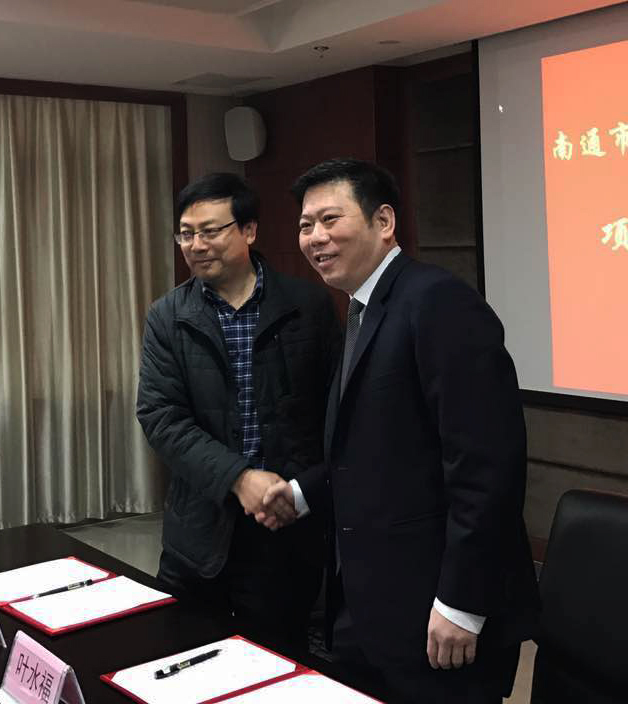 YCH Group signed a Memorandum of Understanding (MOU) with CPC Nantong Northern New Town Management Committee to develop a DistriPark within the Nantong Integrated Logistics Park to support urban development of logistics infrastructures in Nantong City. 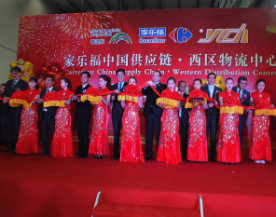 YCH Group, Asia Pacific's leading integrated end-to-end supply chain management and logistics partner announced today the launch of its retail hub in Xiamen, China. 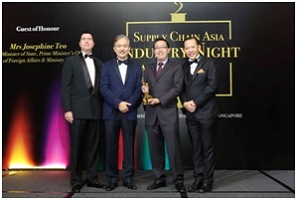 YCH Group was named the "Overall Supply Chain Partner of the Year" at the Supply Chain Asia Industry Night 2016 in recognition of its dedication and leadership in the Supply Chain industry, as well as its various community initiatives. 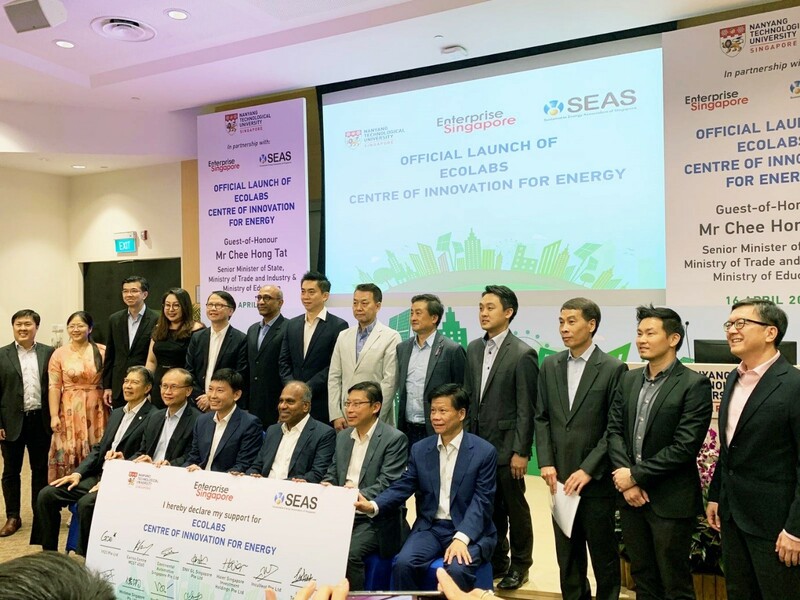 Supply Chain Angels (SCAngels), the venture arm of YCH Group, has signed a Memorandum of Understanding (MoU) with KPMG in Singapore's Digital Village, a symbiotic ecosystem that matches, fosters and forges innovation ventures between companies and startups. 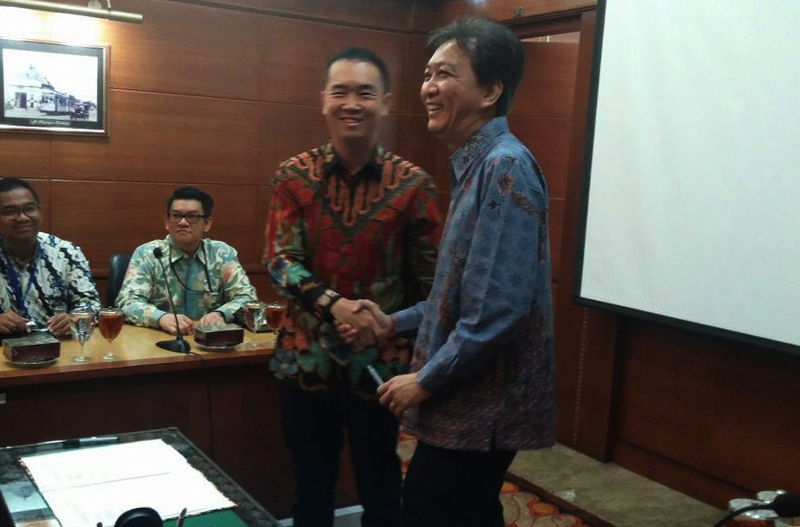 YCH Indonesia, Asia Pacific's leading integrated end-to-end supply chain management and logistics partner, today signed a Memorandum of Understanding (MoU) with PT Pangan Lestari, one of the largest Indonesian importer and distributor of food products under temperature controlled management. 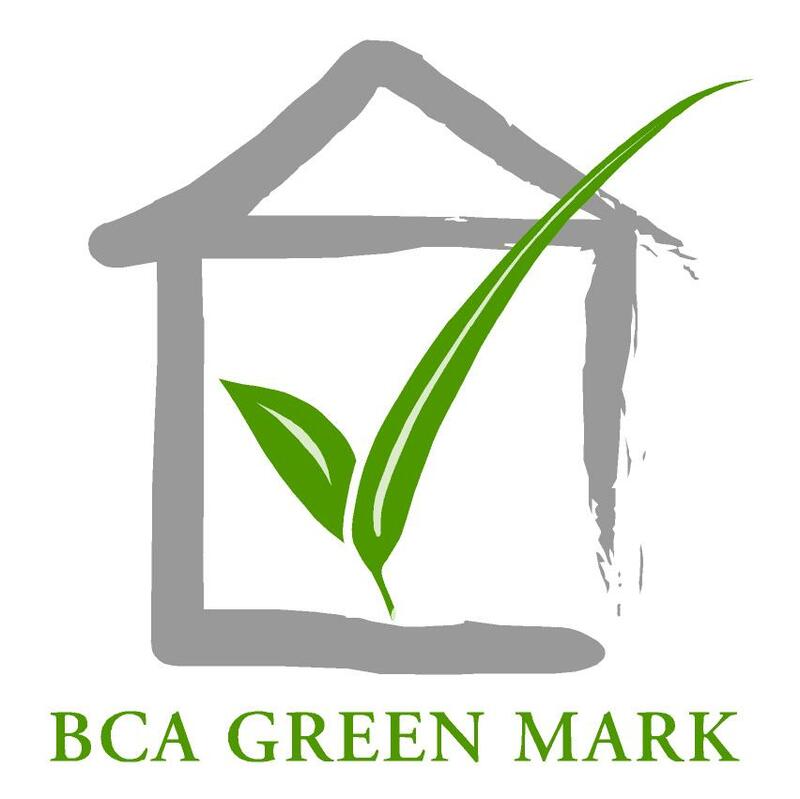 YCH Group, Asia Pacific's leading integrated end-to-end supply chain management and logistics partner announced that its upcoming flagship facility, Supply Chain City™, had been conferred the Building and Construction Authority's (BCA) Green Mark Platinum Award at the BCA Awards 2016 on 26 May. YCH Group, Asia Pacific's leading integrated end-to-end supply chain management and logistics partner has signed a three-year Memorandum of Understanding (MOU) with the Chongqing Banan District Government, Chongqing ASEAN International Logistics, and Y3 Technologies, a leading supply chain management information technology and services company. 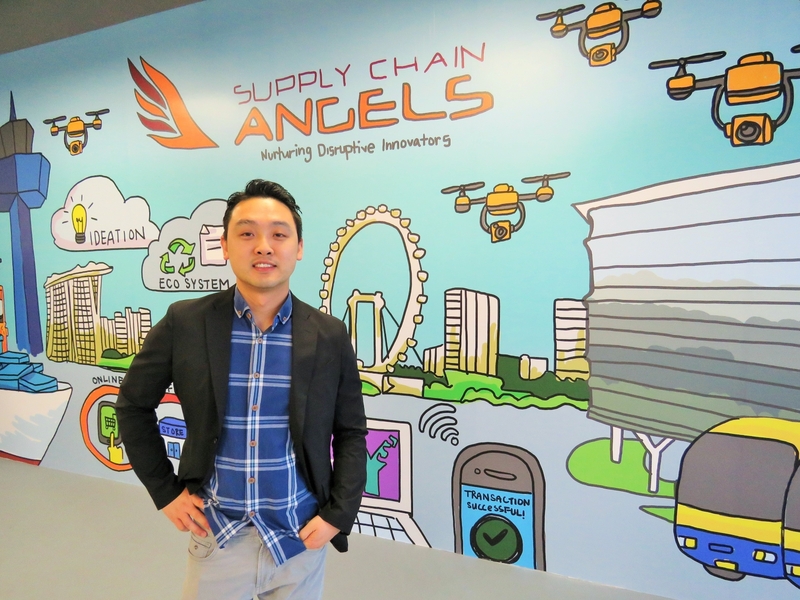 YCH Group, Asia Pacific's leading integrated end-to-end supply chain management and logistics partner, announced that it has launched Supply Chain Angels (SCA), its corporate venture arm. 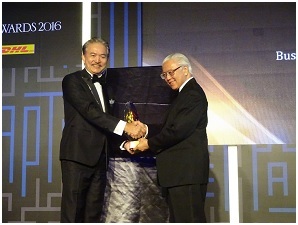 Dr Robert Yap, Executive Chairman of YCH Group, was conferred "Businessman of the Year" at the Singapore Business Awards 2016 on 31 March at The Ritz-Carlton, Millenia Singapore. 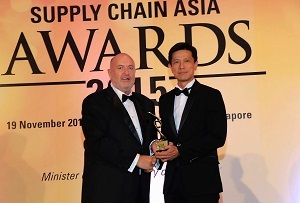 YCH Group, Asia Pacific's leading end-to-end supply chain management and solutions company, was recognised as the "Asian 3PL of the Year" at the Supply Chain Asia Awards 2015 held at Swissotel Singapore. 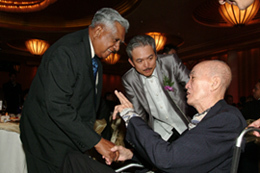 Minister of State for Manpower, Mr Teo Ser Luck graced the event as the Guest-of-Honour to about 400 guests in attendance. 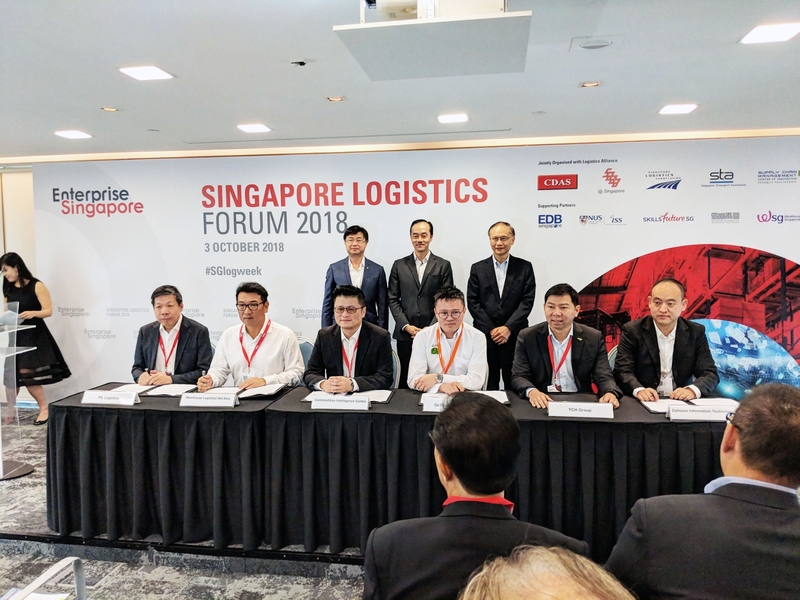 YCH Group, Asia Pacific's leading integrated end-to-end supply chain solutions provider announced today that they will be tapping on technology in a bid to raise the bar of excellence for the logistics sector. 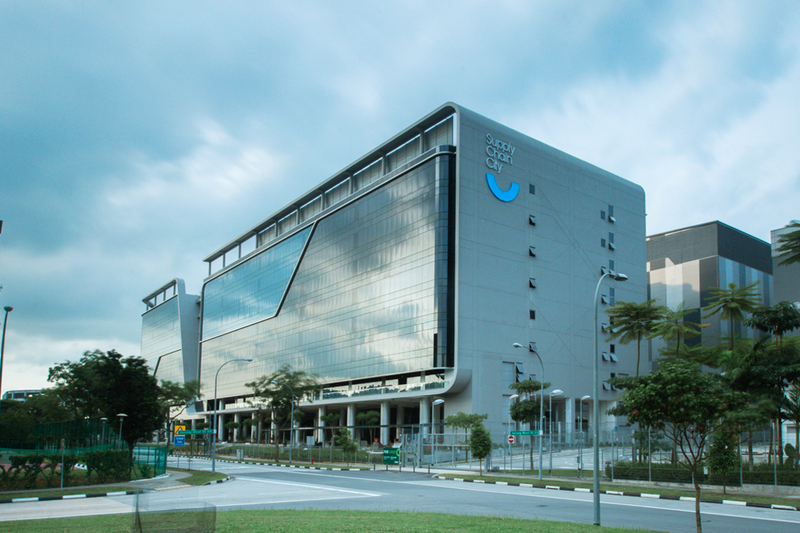 The announcement comes as the company inches closer to the completion of their new corporate headquarters at Supply Chain City™ in Jurong West. YCH Group, Asia Pacific's leading integrated end-to-end supply chain management and logistics partner has confirmed that all staff are unharmed and accounted for. 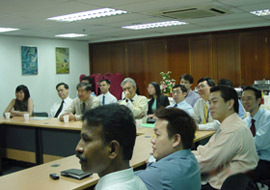 YCH Group, Asia Pacific's leading integrated end-to-end supply chain management and logistics partner, today signalled its intent to become more manpower-lean and build a stronger Singapore core by signing a Memorandum of Understanding (MOU) with the Singapore Workforce Development Agency (WDA). YCH Group, Asia Pacific's leading integrated end-to-end supply chain management and logistics partner held a Charity Golf Tournament at the Sentosa Golf Club yesterday, 7th July 2015 as part of their Diamond Jubilee - 60th Anniversary celebrations this year. Asia Pacific's leading integrated end-to-end supply chain management and logistics partner to global MNCs and aspiring growth enterprises signed a Memorandum of Understanding (MOU) with the Sichuan Vocational and Technical College of Communications ("SVTCC") to collectively offer a rigorous talent development program that combines both classroom and practitioner-based learning, aimed to help students develop relevant logistics skills and experiences upon graduation. YCH Group, Asia Pacific's leading integrated end-to-end supply chain management and logistics partner, implements its proprietary The Last Mile™ (TLM™) solution for ZALORA as the online powerhouse launches its fashion warehouse in YCH DistriPark located at Cibitung, West Java today. The latest warehouse from ZALORA, covering an area close to 15,000 sq. meters, is the largest of its kind in Indonesia for a fashion retailer. YCH Group, Asia Pacific's leading integrated end-to-end supply chain management and logistics partner, was awarded a contract from Carrefour to manage the full spectrum of logistics operations for their western distribution center in the Xinjin Country District of Chengdu, China. YCH Group, Asia Pacific's leading integrated end-to-end supply chain management and logistics partner to global MNCs and leading e-commerce companies, today signed a Memorandum of Understanding (MOU) with the Shuangliu County Municipal Government to develop a high-tech YCH DistriParkT within the Shuangliu Aviation Economic Zone to fulfill end-to-end logistics outsourcing needs of manufacturing and distribution companies in this up-and-rising international aviation and logistics hub of Western China. With effect from 1 January 2015, YCH Group will be welcoming Mr. Bennett Neo on board as its new Chief Executive Officer to lead the company in executing its growth strategy. YCH Group was awarded the “Overall Supply Chain Partner of the Year” at the Supply Chain Asia Awards in recognition of the firm's accomplished symbiotic regional partnerships with industry stakeholders. 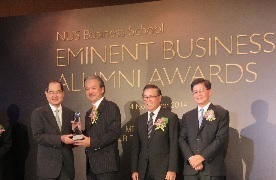 Dr Robert Yap, Chairman and CEO of YCH Group, a leading regional provider of integrated end-to-end supply chain management (SCM) solutions was awarded the 'Senior Alumni Award' by the NUS Business School at its Eminent Business Alumni Awards ceremony in recognition of his tireless efforts and distinctive contributions to the supply chain community. 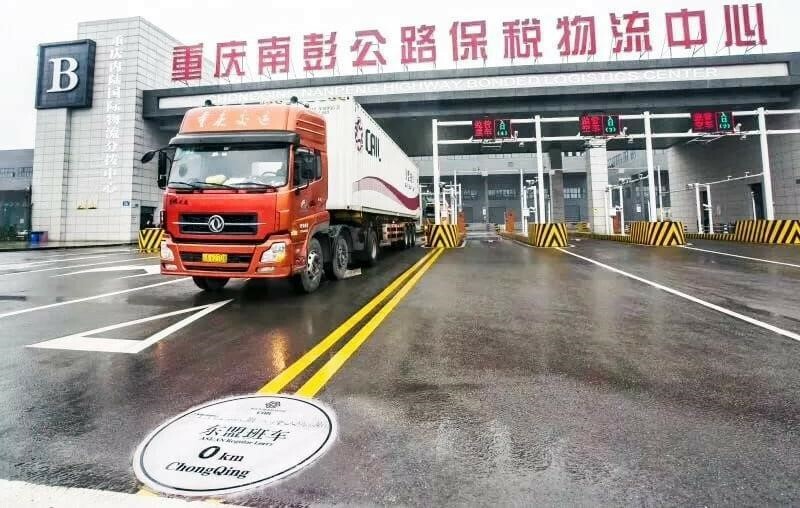 YCH Group (“YCH”), Asia Pacific's leading integrated logistics and end-to-end supply chain solutions company announced two upcoming strategic developments pertaining to its expansion in Shandong - the second largest economic province in terms of GDP in China. 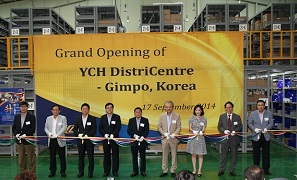 YCH Group, Asia Pacific's leading integrated end-to-end supply chain management and logistics partner, today celebrated the official opening of its YCH DistriCentre in Gimpo, Korea. The warehouse facility in the Yangchon industrial zone was primarily established to service automotive parts management and logistics for Volvo, the Swedish carmaker reputed for its superb quality and craftsmanship. YCH Group ("YCH"), Asia Pacific's leading integrated logistics and end-to-end supply chain solutions partner signed an MOU (Memorandum of Understanding) with Malaysia's Nusajaya Tech Park Sdn Bhd ("NTPSB") today, to formalize their joint intent to develop a DistriParkTM within the Nusajaya Tech Park ("NTP") to cater to full suite logistics and supply chain activities required by companies located in Iskandar Malaysia. 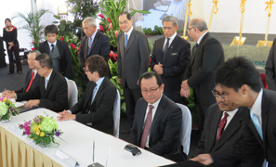 The MOU signing was conducted at the groundbreaking ceremony of the NTP, which was officiated by Guests-of-Honour, Y.B Dato' Sri Mustapa Mohamed, Minister of International Trade and Industry, Malaysia and Mr. Lim Hng Kiang, Minister for Trade & Industry, Singapore. 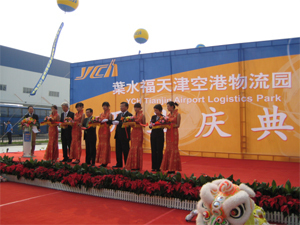 YCH Group ("YCH"), Asia Pacific's leading integrated logistics and end-to-end supply chain solutions partner and Shanghai AUSTRAQUAL International announced a strategic 10 year partnership to provide cold chain storage and distribution services at YCH Yangshan located at Shanghai Pilot Free Trade Zone. YCH Group ("YCH"), Asia Pacific's leading integrated logistics and end-to-end supply chain solutions partner signed an MOU (Memorandum of Understanding) with state-owned steel manufacturer, the Qingdao Iron & Steel Group Co. Ltd ("QDIS") today to jointly develop a state-of-the-art, 13.3 hectares (200 mu) supply chain facility in Qingdao's Li Cang district to offer full-suite, end-to-end supply chain solutions to both international and domestic manufacturers aspiring to expand their presence in Shandong province. 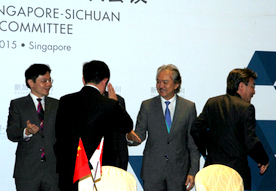 The signing was witnessed by Mr. Ma Weigang, Director of Qingdao's Bureau of Commerce (BOFCOM) and Mr Law Chung Ming, Group Director of China in International Enterprise Singapore ("IE"), among other dignitaries. 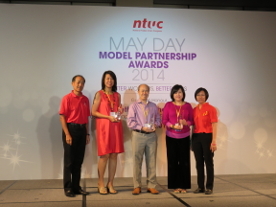 YCH Group ("YCH"), Asia Pacific's leading integrated logistics and end-to-end supply chain solutions partner, was awarded the May Day Model Partnership Awards 2014 by the National Trades Union Congress ("NTUC") today. 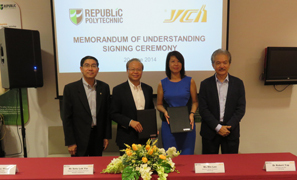 Asia Pacific's leading supply chain company YCH Group today signed a Memorandum of Understanding (MOU) with Tianjin's leading vocational institution, the Tianjin College of Commerce ("TCC") to jointly offer a rigorous, well-rounded supply chain certification program that fuses the best of academic training with practitioner-based learning to develop highly versatilesupply chain talents that are ready and relevant for the industry. Leading Singapore-based logistics and supply chain management (SCM) company YCH Group has launched their proprietary The Last Mile™ (TLM™) solution today to strengthen the last mile delivery network of their MNC customers. 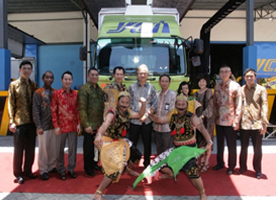 Asia Pacific’s leading supply chain company YCH Group has officially launched its latest state-of-the-art warehouse facility today in Surabaya, Indonesia. 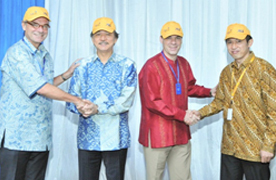 The YCH Indonesia Surabaya DistriCentre will serve to further expand the group’s extensive supply chain network in Indonesia. 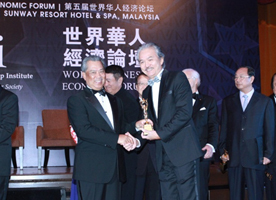 Dr Robert Yap, Chairman and CEO of YCH Group, a leading regional provider of integrated end-to-end supply chain management solutions was awarded the ‘Lifetime Achievement Award’ for Logistics at the 5th World Chinese Economic Forum award ceremony held in Kuala Lumpur, Malaysia . 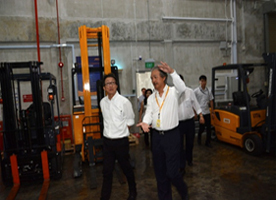 Leading Singapore-based Supply Chain company YCH Group hosted a productivity showcase featuring a highly-efficient solution comprising YCH’s proprietary Warehouse Management Solution (WMS) integrated with a state-of-the-art satellite automated cart storage system. 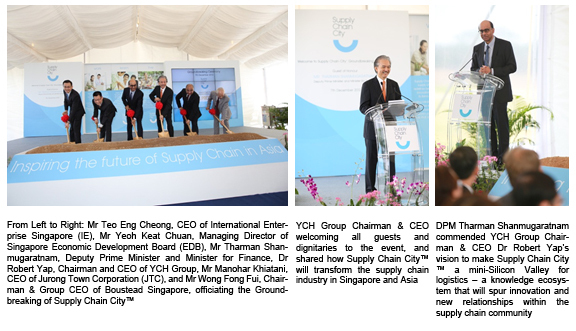 YCH Group announced the launch of Supply Chain City™ in a groundbreaking ceremony held this morning at the 6.5 hectare site of the planned facility in Wenya, Jurong West. 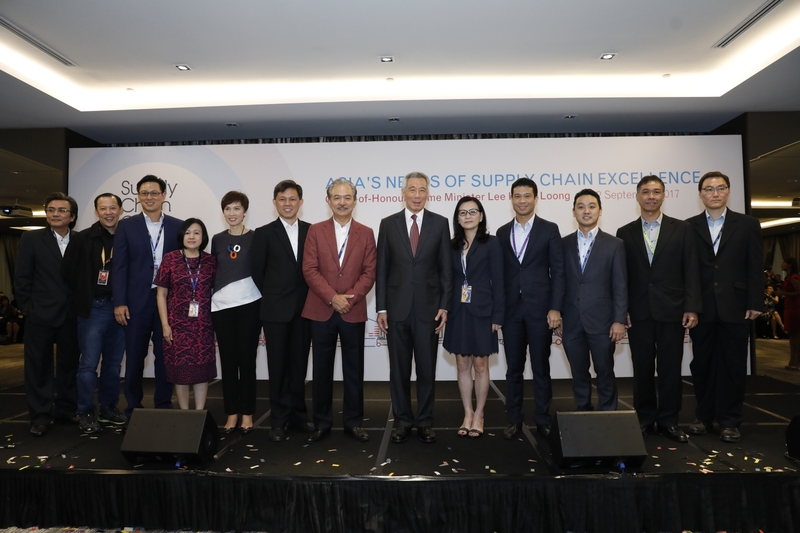 Supply Chain CityTM is set to be Asia’s ‘premier supply chain nerve centre’ and is a knowledge ecosystem that aims to accelerate industry best practices and set new standards for supply chain excellence. Sustainable landscaping and community-centric elements are incorporated into the design of Supply Chain City™ in a “Work, Learn and Live” concept unique from conventional logistics hubs and environments. 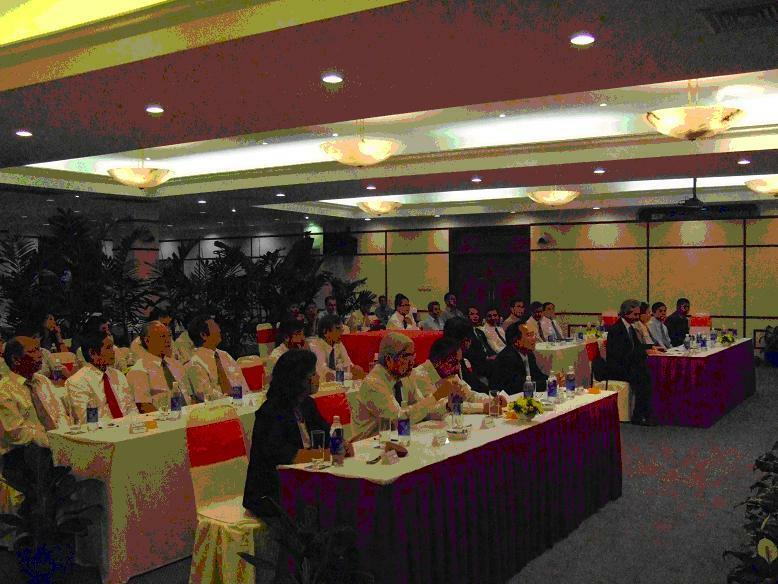 The event was graced by Guest-Of-Honour Deputy Prime Minister and Minister for Finance, Mr Tharman Shanmugaratnam. 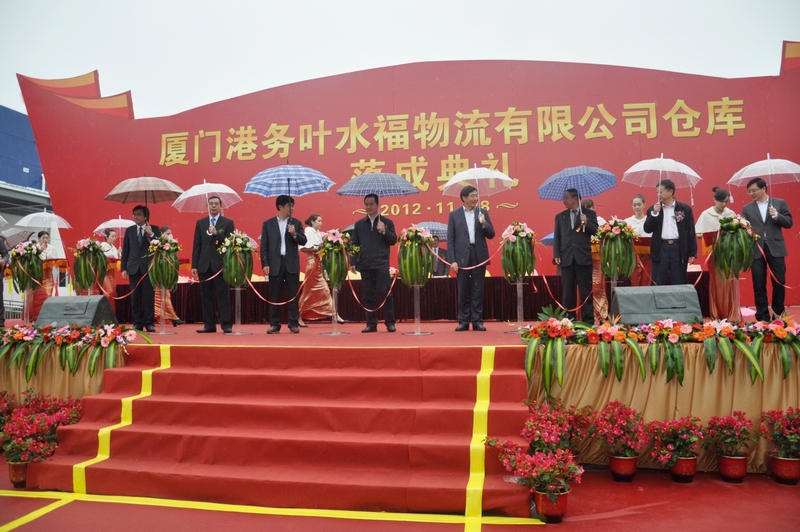 Leading Singapore-based logistics and supply chain management (SCM) company YCH Group today conducted the groundbreaking ceremony to kick start the development of its latest supply chain facility - the YCH Kunshan DistriPark™, in the strategically located Jiangsu Kunshan Export Processing Zone (EPZ), China. 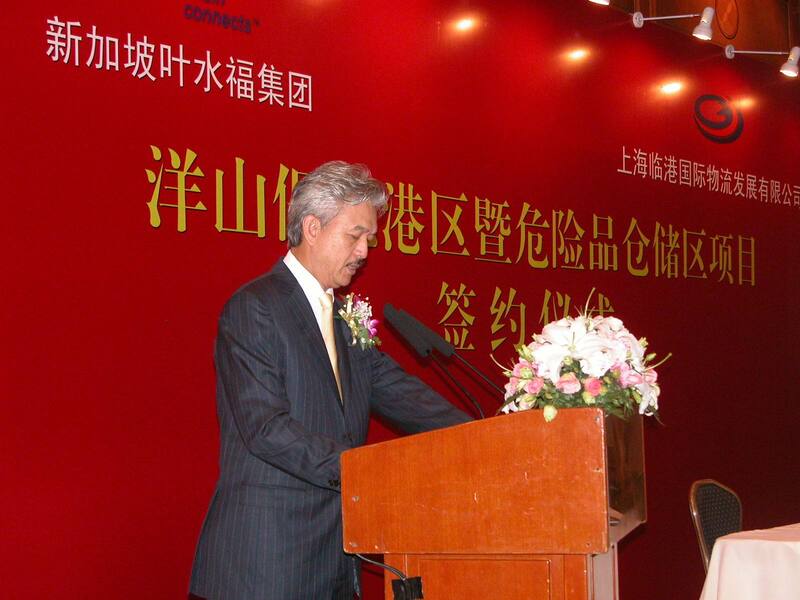 Performed in the presence of Mayor of Kunshan Mr. Lu Jun and Deputy Consul-General in Shanghai Mr. Chi Chiew Sum who were among the various VIPs that witnessed the momentous event, this will see a 360, 000 sq. feet state-of-the-art logistics facility being developed to dedicatedly service the pulsating MNC electronic, optical and precision machinery manufacturing scene in Kunshan. 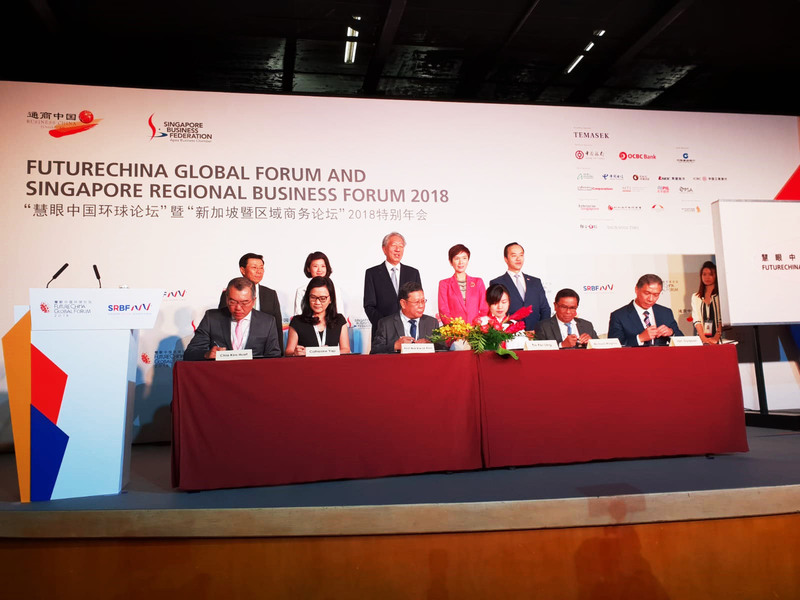 Leading Singapore-based logistics and supply chain management company YCH Group ("YCH") today signed the Joint Venture (JV) agreement with China's state-owned Guangzhou Transportation Group (�GTG�) to begin offering end-to-end supply chain solutions throughout Guangzhou in South China. 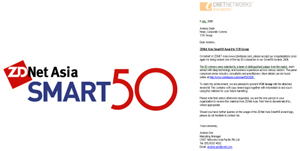 This follows from the MOU that both parties signed on 27 April this year. 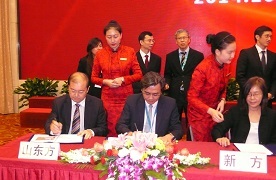 Leading Singapore-based logistics and supply chain management (SCM) company YCH Group today signed an MOU (Memorandum of Understanding) with the Guangzhou Transportation Group (�GTG�) to establish a Joint Venture (JV) to develop and co-manage a 4.5 hectare logistics and distribution hub to offer supply chain services for Guangzhou from the strategically-located Tianhe District. 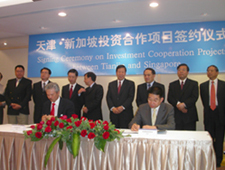 The MOU was signed at Tianhe�s Yaozhong Plaza by Chairman of GTG Mr Yang Jiansui and Chairman of YCH Group Dr Robert Yap. 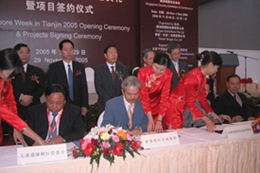 Director General of Guangzhou Transportation Commission Mr Xian Weixiong and Consulate General of the Republic of Singapore in Guangzhou Mr Loh Tuck Wai were among the VIPs who witnessed the signing. 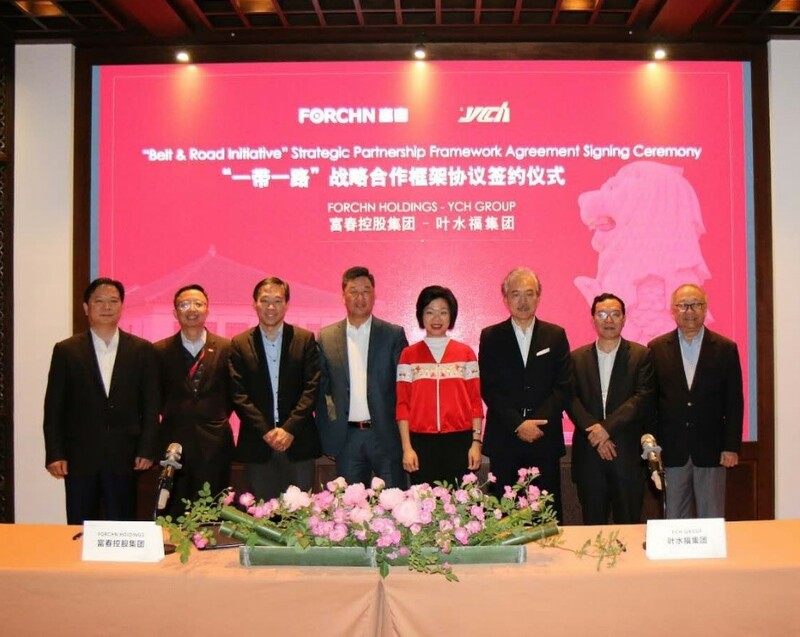 Under this collaboration, GTG and YCH will jointly offer end-to-end supply chain solutions ranging from warehousing, transportation and distribution to SCM optimization, value-add activities as well as cold chain management, for China�s third largest city. 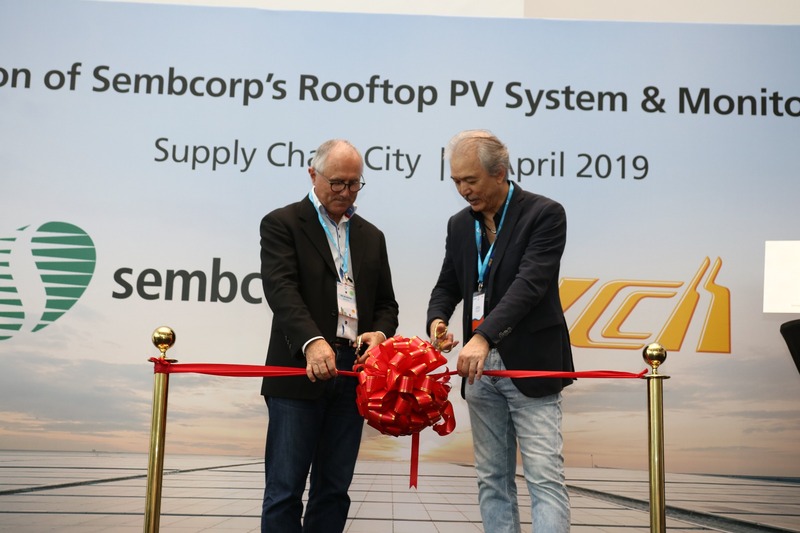 Leading Singapore-based logistics and supply chain management (SCM) company YCH Group officially announced the amplification of its network presence in Australia with the recent acquisition of the LG Electronics Australia ("LGE") supply chain business. 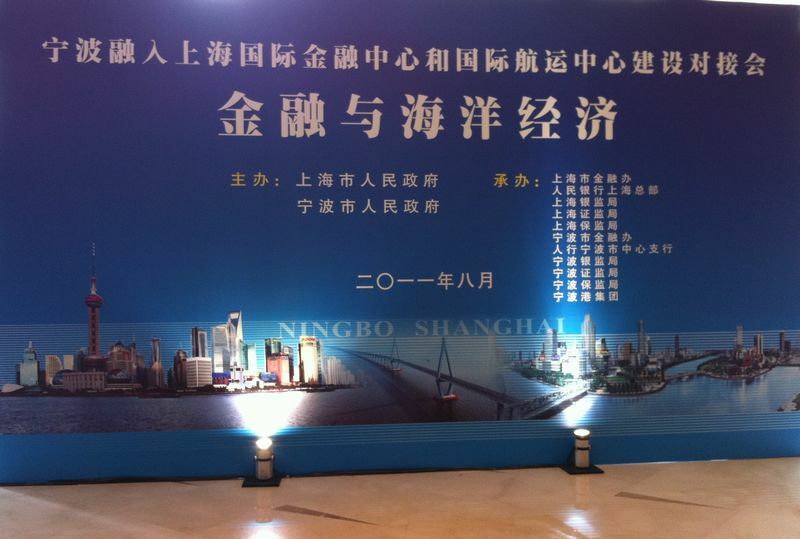 Leading Singapore-based logistics and supply chain management (SCM) company YCH Group ("YCH") today signed an MOU (Memorandum of Understanding) with the Ningbo Free Trade Zone Administrative Committee ("NFTZ") to officiate a mutual commitment to develop Ningbo city as a major Wine Hub gateway for Greater China. 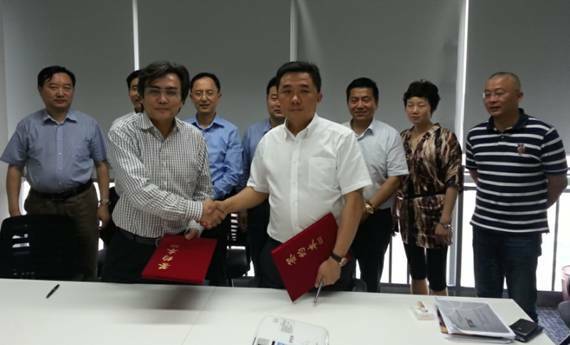 Leading Singapore-based logistics and supply chain management (SCM) company YCH Group today signed an MOU (Memorandum of Understanding) with the Kunshan's Lujia County Government to establish YCH's emblematic City Supply Chain ("CSC") services for the entire Kunshan city. 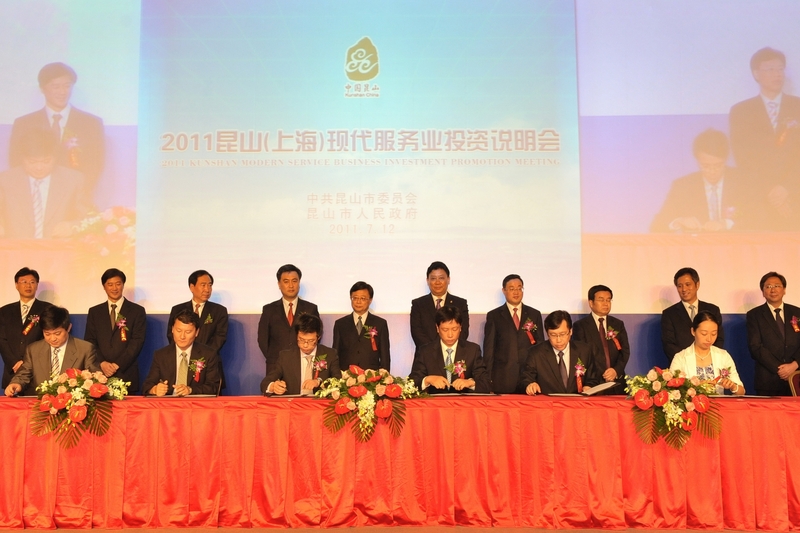 The MOU was signed at the 2011 Kunshan Service Industries Business Symposium, where Kunshan Party Secretary Mr. Guan Aiguo was the Guest-of-Honour witnessing the significant event. 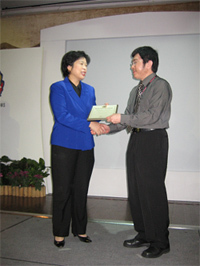 Leading Singapore-based logistics and supply chain management (SCM) company YCH Group has been awarded the 'Enterprise of the Year' Award for 2010 at the Singapore Business Awards (SBA) 2011. 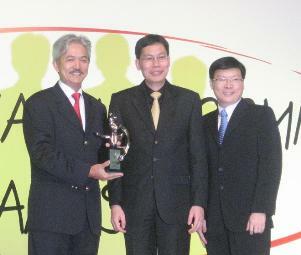 YCH received the honour at The Ritz Carlton, Millennia during the Awards' presentation dinner last evening. Leading Singapore-based logistics and supply chain management company YCH Group has been named 'Asian 3PL of the Year' at the Supply Chain Asia Logistics Awards for the 4th consecutive year since the inauguration of the awards in 2007. 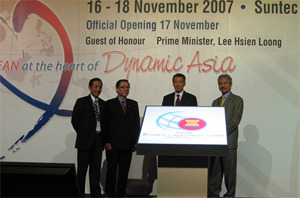 YCH has successfully carved a niche in the region by focusing on providing supply chain excellence in APAC by providing unique value-added services to meet the differing demands of customers in each country. 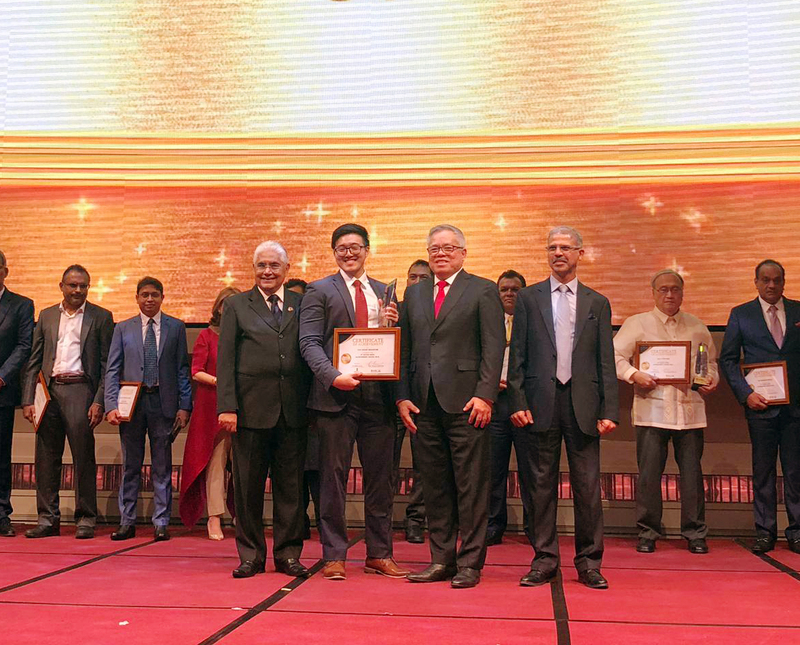 Leading regional logistics and supply chain management company YCH Group clinched the award as the �Most Admired ASEAN (Large) Enterprise� in the Innovation category, at the ASEAN Business Awards (ABA) 2010 last night. 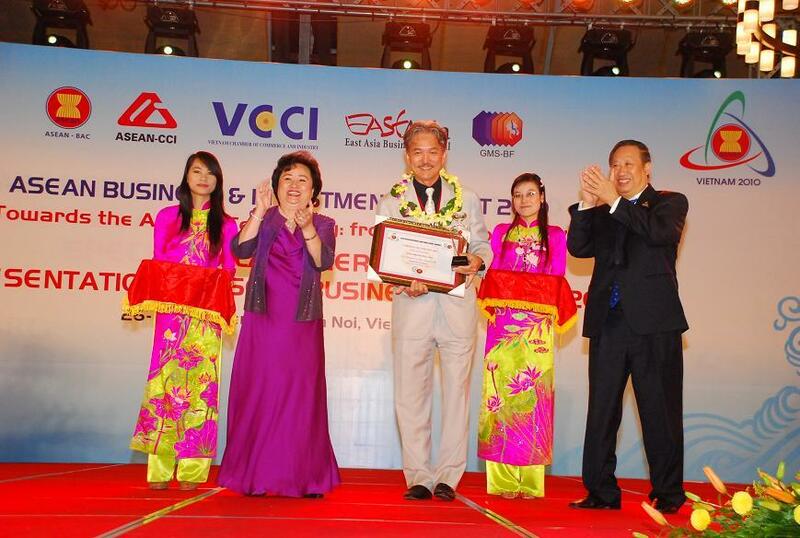 Held at the National Convention Center of Hanoi, Vietnam yesterday on 27 October as part of the high-level 17th ASEAN Business Investment Summit (ASEAN-BIS), the annual ABA honours outstanding ASEAN companies that have contributed to ASEAN�s stellar economic growth. 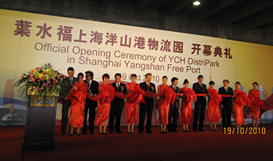 Leading regional Supply Chain Company YCH Group today officially opened its 465, 000 square feet YCH DistriPark located within the Lingang Logistics Park of Shanghai�s famous Yangshan Free Port. 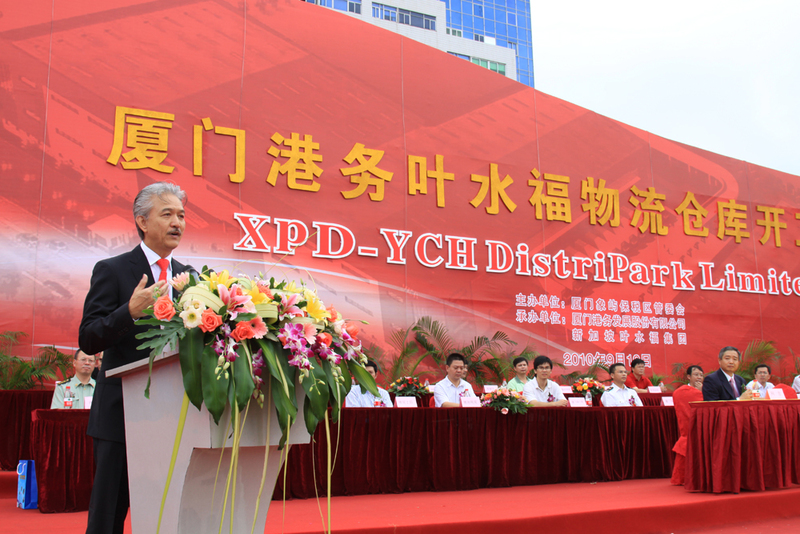 Leading regional Supply Chain Company YCH Group today conducted the groundbreaking ceremony of its latest supply chain facility, the XPD-YCH DistriPark in Xiamen, China. 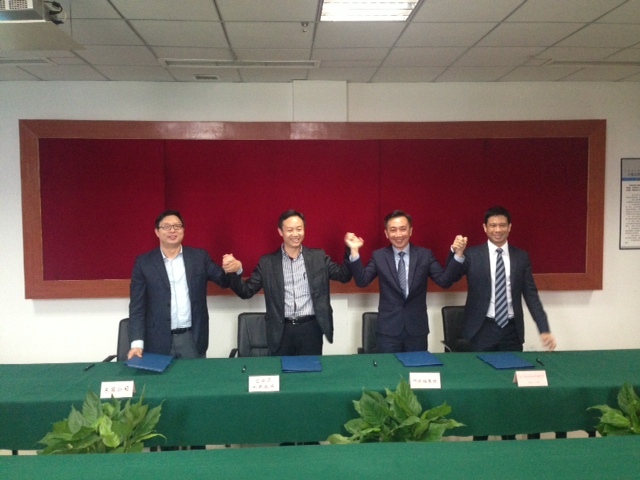 As part of a Joint Venture with the Xiamen Port Development (�XPD�) Co. Ltd, a subsidiary of the Xiamen International Port that specialises in freight, transhipment, multimodal transportation and logistics information management, the partnership will see an additional 609,000 sq. 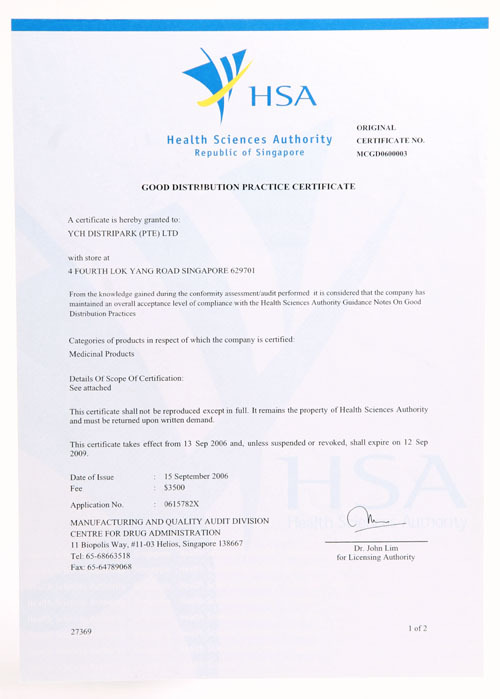 Leading Singapore-based logistics and supply chain management (SCM) company YCH Group garnered another innovation award yesterday. 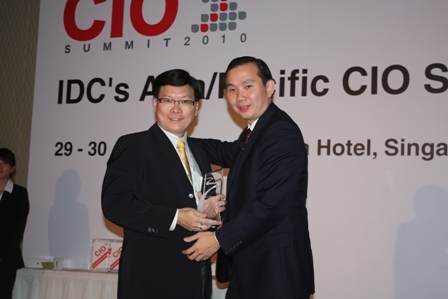 Receiving the highest accolade at the IDC-Enterprise Innovation awards, YCH was recognized for its �SCM II � Project Cloud Hub� project, for resourcefully utilizing virtualisation and cloud computing to build flexible, cost-effective SCM applications that would transform the supply chain industry. YCH India, the local operations of leading Singapore-based logistics and supply chain management (SCM) company YCH Group, today announced the Official Inauguration of its 525, 000 square feet YCH DistriPark in the Sriperumbudur area of the Chennai Special Economic Zone (SEZ). Having been in operations in India since end 2006, YCH has within these few years, already established a comprehensive network across the country to service its growing MNC customers. 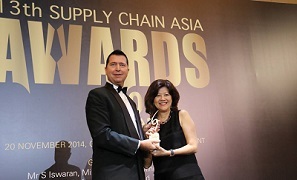 Leading Singapore-based logistics and supply chain management company YCH Group has won the Supply Chain Asia Logistics Awards� �Asian 3PL of the Year� for the 3rd consecutive year. 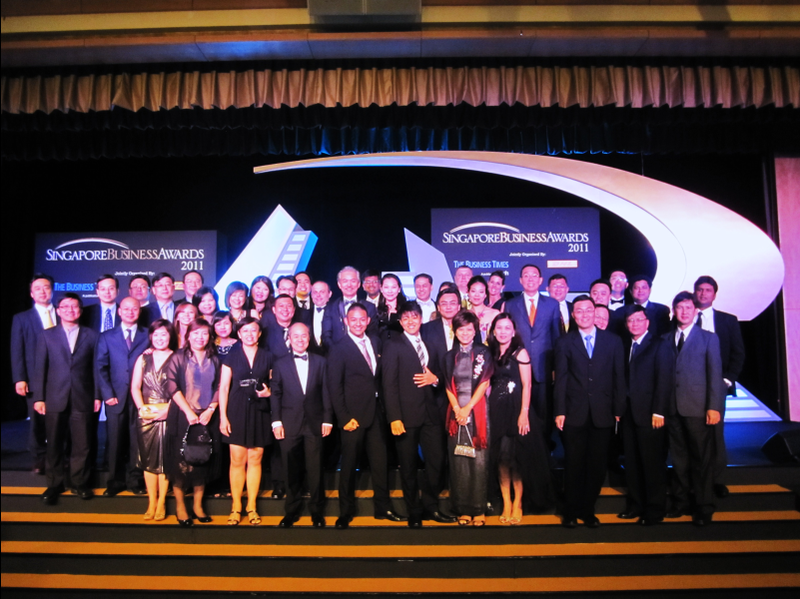 Held at Singapore�s Raffles Town Club yesterday, the annual Supply Chain Asia (SCA) Logistics Awards honoured the best in the logistics industry. 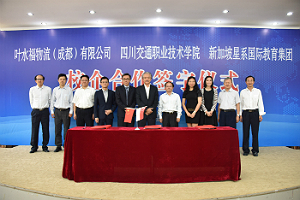 YCH Chengdu, the local operations of leading Singapore-based logistics and supply chain management (SCM) company YCH Group, today forged a strategic partnership with various Chengdu City government agencies to establish an advanced logistics framework for the city. 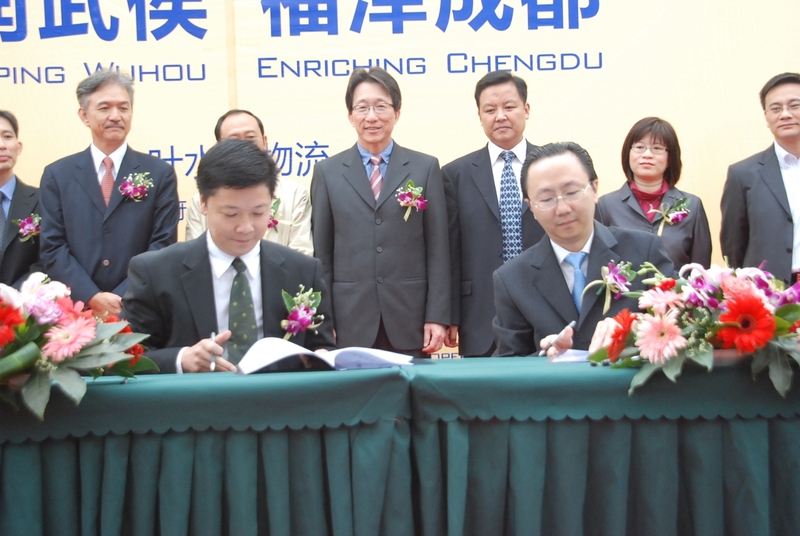 As part of the partnership, YCH was issued 400 special truck licenses by the Chengdu City government�s Transport and Logistics Bureau to enable express door-to-door distribution to shorten lead times, increase the efficiency of last mile deliveries and optimize distribution through the introduction of efficient world class city supply chain practices into Chengdu City. 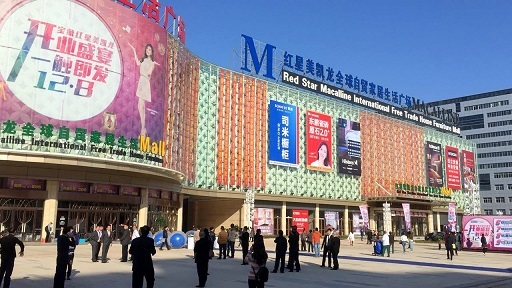 It will also allow the company to help address growing concerns on food safety and logistics-related issues pertaining to Chengdu�s consumer market. Leading Singapore-based logistics and supply chain management (SCM) company YCH Group today announced that it will start operating in Vietnam. 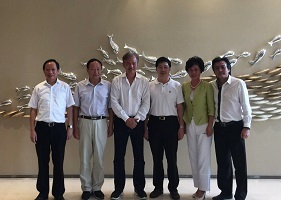 This move fulfills yet another milestone in YCH�s stated strategy to expand regionally across the Asia Pacific region. As part of its foray into Vietnam, YCH will also develop a state-of-the-art DistriPark in Binh Duong Province, which is just 20km away from Ho Chi Minh City. 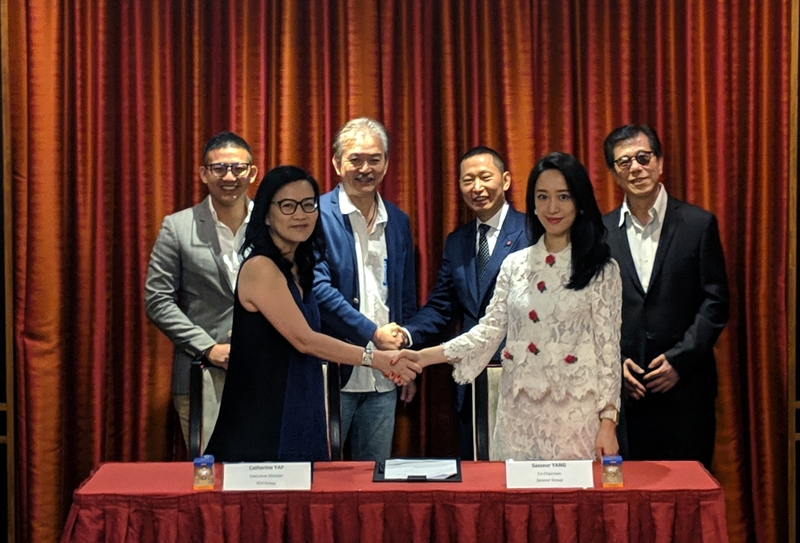 The US$20 million investment, jointly undertaken by YCH and Protrade Corporation, will cater to the supply chain requirements of industry clusters from electronics manufacturing to fast-moving consumer goods. 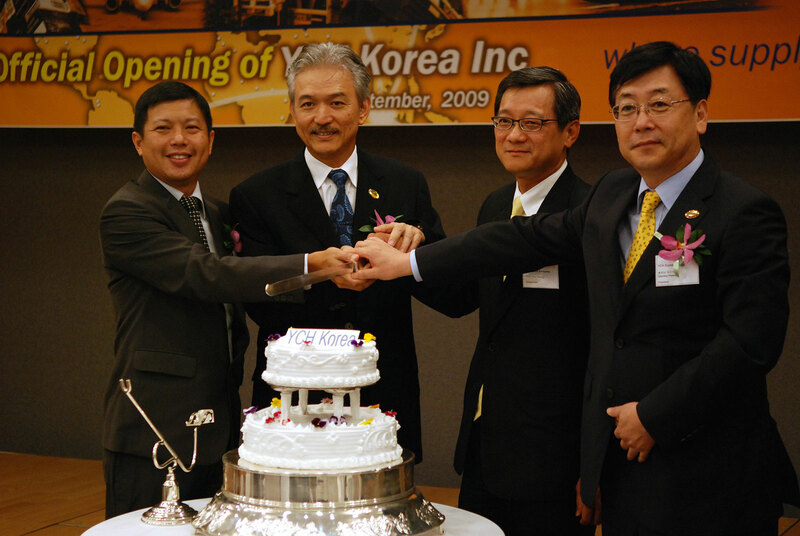 Singapore-based supply chain management (SCM) company YCH Group today strengthened its Pan Asian network with the official opening of its Korean office. 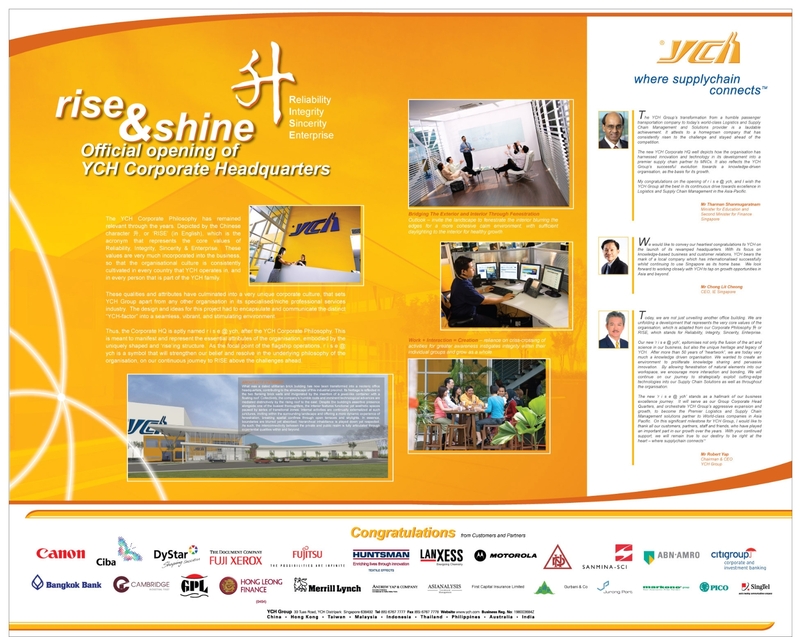 The new office will leverage YCH Group�s knowledge of the Asia supply chain industry, comprehensive regional network and award-winning SCM solutions to help Korean multinational companies (MNCs) compete effectively in the exports market. 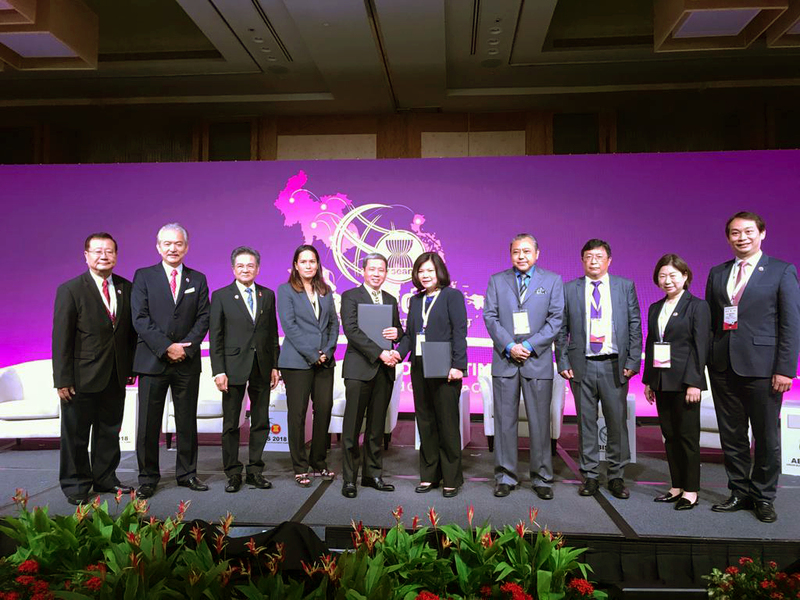 The enhanced regional network will also boost YCH�s service offerings to other multinational companies (MNCs) looking to grow business opportunities or deepen connections within their Asian footprint via South Korea. 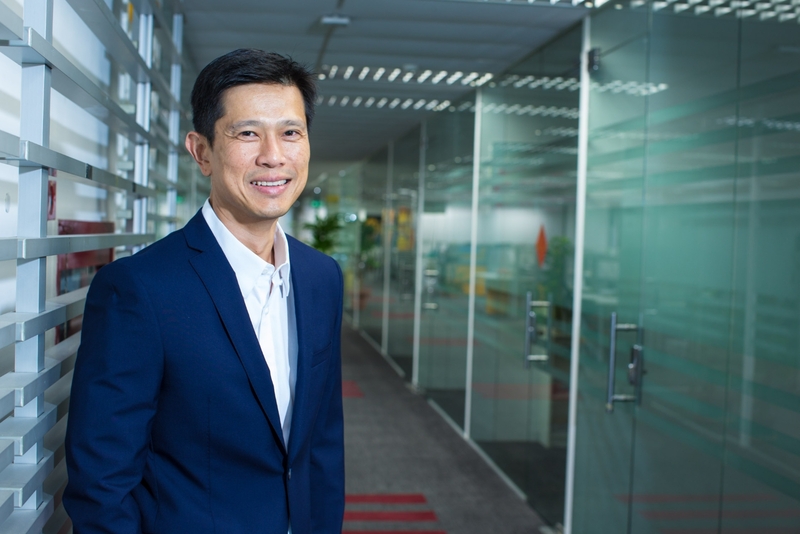 In a move to further extend its regional wings, Singapore-based supply chain management (SCM) company YCH Group has recently expanded its senior management team to explore new frontiers in the dynamic Asian logistics industry. 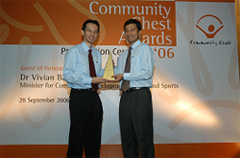 Leading Singapore-based logistics and supply chain management company YCH Group was today awarded �Asian 3PL of the Year� accolade at the Supply Chain Asia Logistics Awards 2008 for the second consecutive year, at a gala dinner held at the JW Marriott Hotel at Shanghai�s People Square. 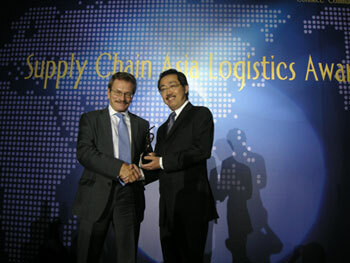 The award recognises and honours the best logistics service providers in Asia. RFID is an enabling technology for the logistics industry - only with RFID is true integration of the physical flow and information flow possible. 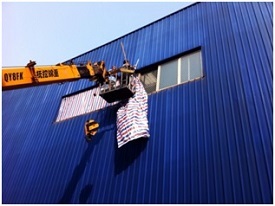 The launch of the RFID project at Lingang Logistics Park in Shanghai marks the next step forward for YCH in our ongoing expansion plans to strengthen our capabilities in China and North Asia. 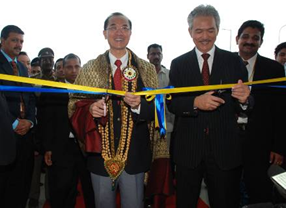 This ground-breaking project is a testament to YCH�s capabilities and pioneering experience in implementing RFID technology successfully across our operations to create a true real-time supply chain for our customers,� said Dr Robert Yap, Chairman and CEO, YCH Group. 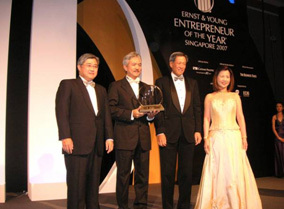 Dr. Robert Yap, Chairman and CEO of Singapore-based YCH Group, a leading regional provider of integrated end-to-end supply chain management solutions, was named Entrepreneur Of The Year Singapore 2007 at the Ernst & Young Entrepreneur Of The Year Awards Singapore 2007 award ceremony this evening. 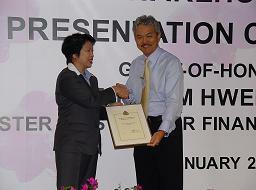 Dr. Yap will represent Singapore at the annual World Entrepreneur Of The Year Award to be held in Monte Carlo next year. 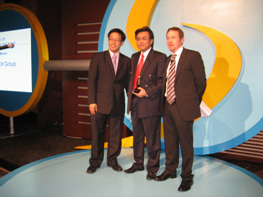 Leading Singapore-based logistics and supply chain management company YCH Group today garnered the Asian 3PL of the Year award at the Supply Chain Asia Logistics Awards 2007 held at the Hong Kong Convention & Exhibition Centre. 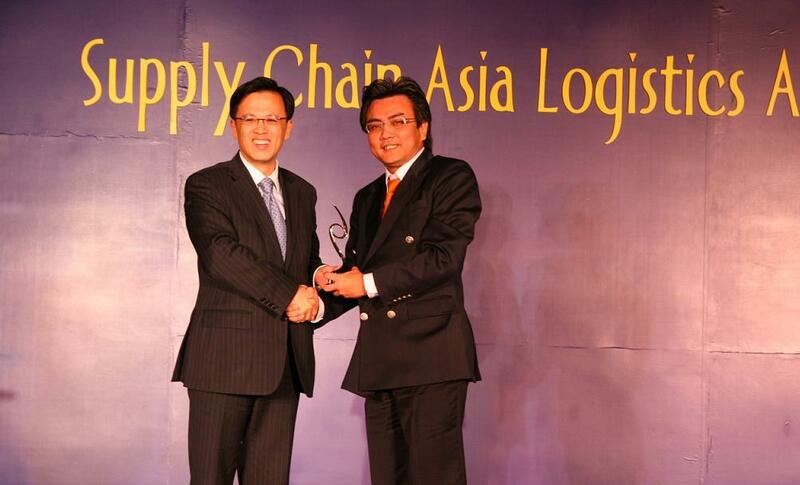 The awards recognize and honour the best logistics service providers in Asia. 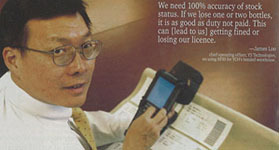 The YCH Corporate Philosophy has remained relevant through the years. Depicted by the Chinese character 升, or RISE (in English), which is the acronym that represents the core values of Reliability, integrity, Sincerity & Enterprise. 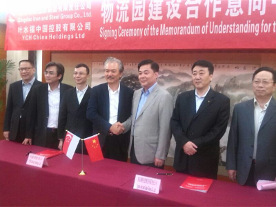 Singapore’s logistics and supply chain management giant, has inked a Memorandum Of Understanding (MOU) with the Shanghai Lingang International Logistics Development Company to develop a 4.3 hectare YCH DistriPark in Shanghai’s Yangshan Free Trade Port Area. The MOU also includes a plan to jointly develop a world-class Dangerous Goods� (DG) Storage Facility within the Lingang Logistics Park.